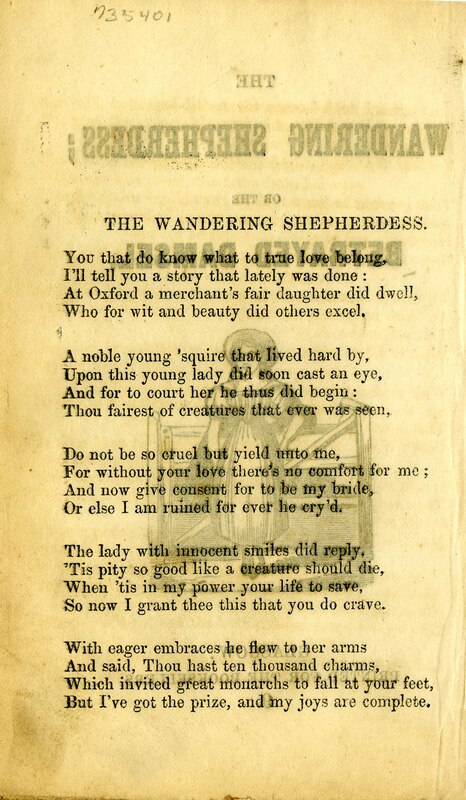 The Wandering Shepherdess; or the Betrayed Damsel. 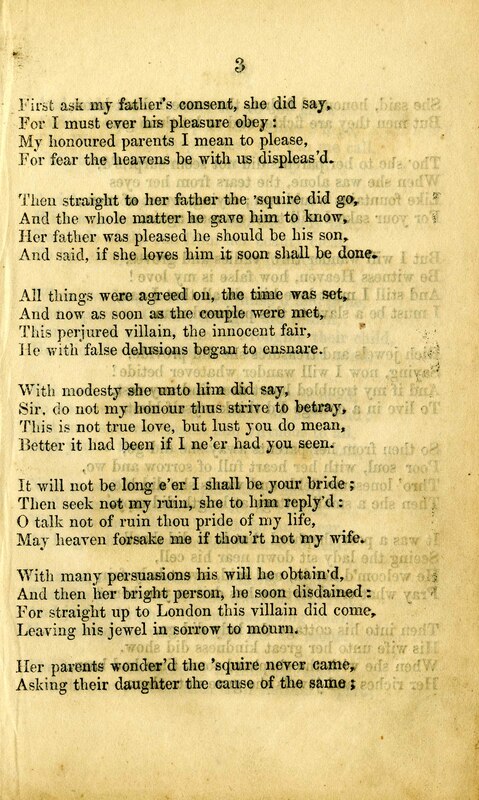 A rather shocking cautionary ballad meant to encourage young women to guard their virginity and not be coaxed by men into pre-marital relations. 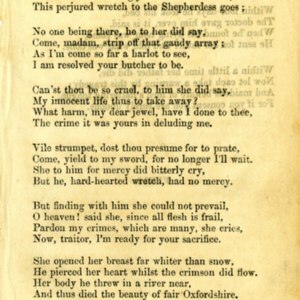 In the tale, a merchant’s daughter is courted by a squire’s son at Oxford. 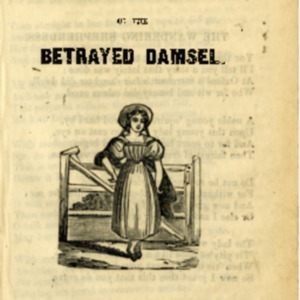 A marriage date is agreed upon by her family, but she allows herself to be talked into sleeping with him before they marry, after which he abandons her and disappears to London for two years. 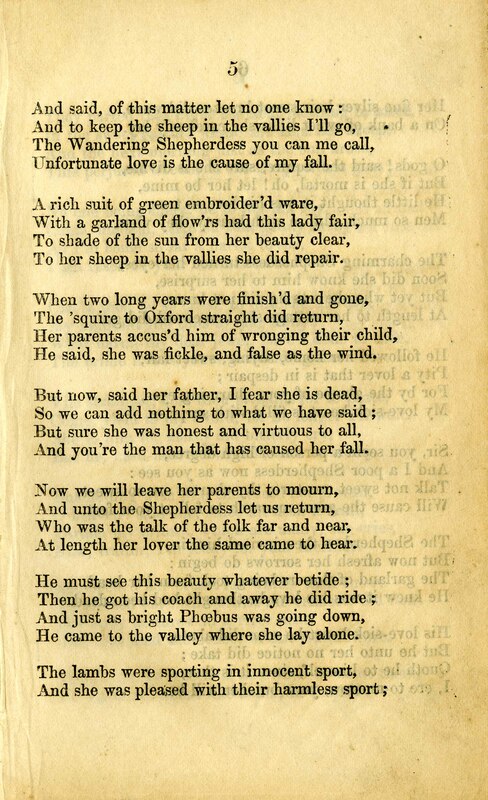 After he leaves her, she decides to go become a wandering shepherdess. 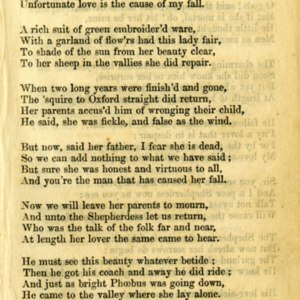 Years later, her betrothed returns to Oxford where he is confronted by her parents, but he blames it on her own falsity. 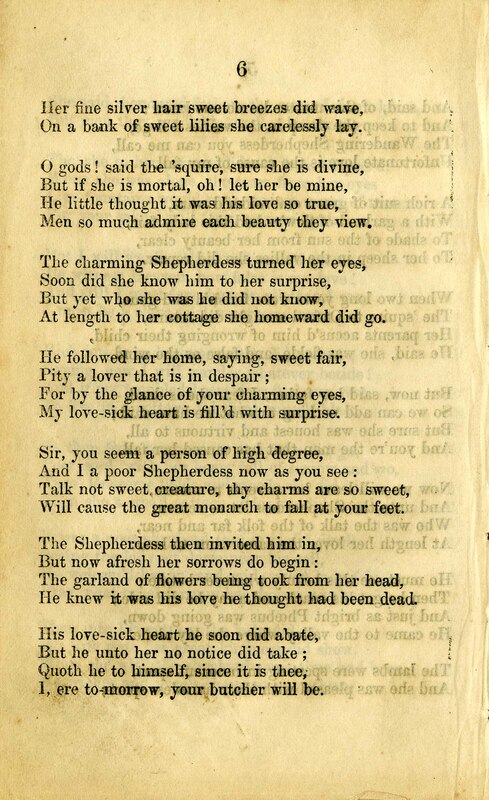 When he hears about a beautiful shepherdess in the country, he tracks down this beauty and, not recognizing her at first as his jilted lover, attempts to convince her to sleep with him. 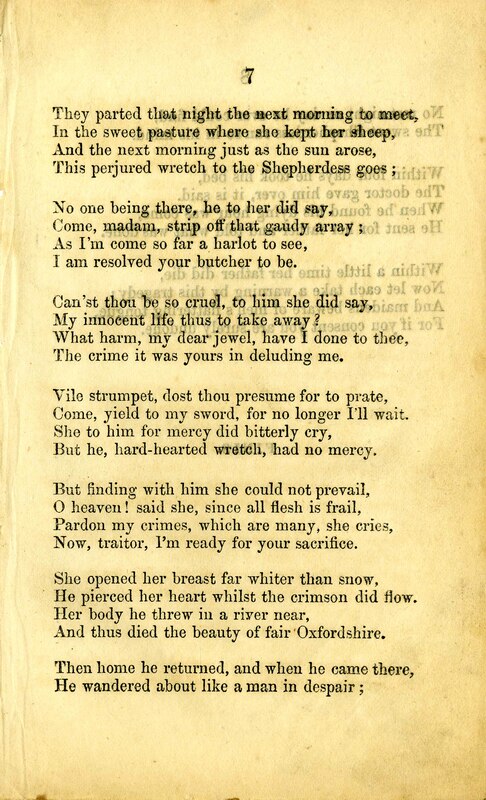 When he recognizes her and she refuses him, he comes back the next day and rapes and kills her and throws her body in a river. 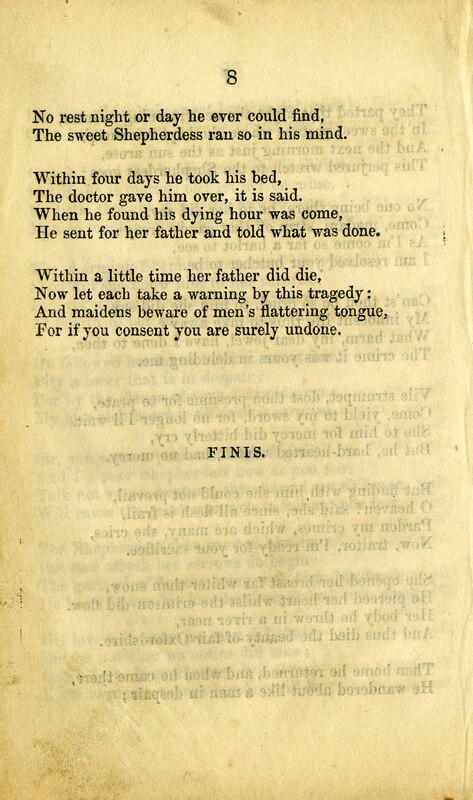 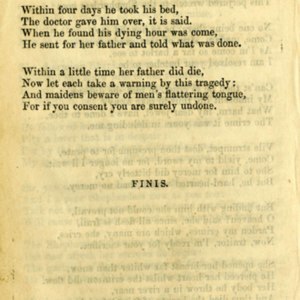 As a moral tragedy, her death is punishment for her original transgression, while her lover is tormented by the thought of what he has done, which drives him to his own deathbed, where he confesses to her father, which causes his death as well. 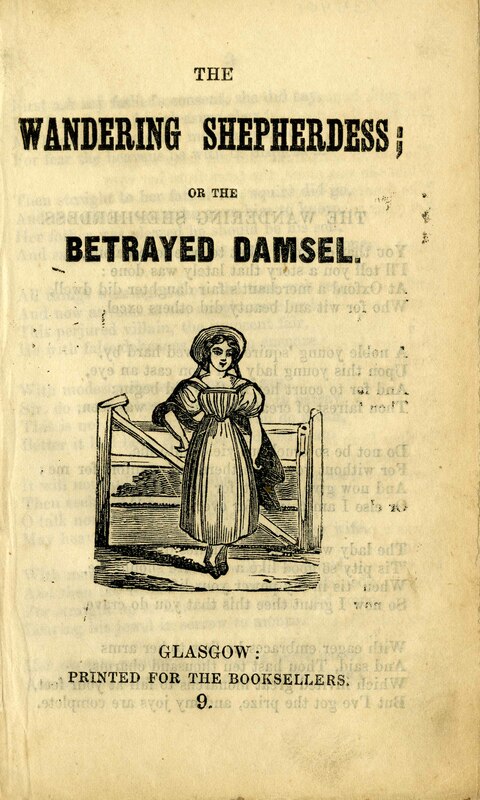 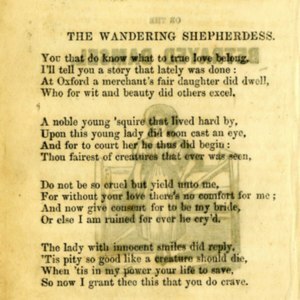 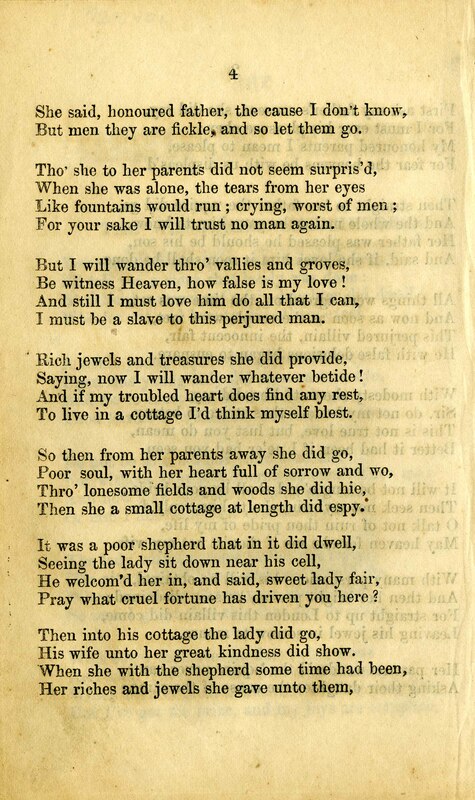 “The Wandering Shepherdess; or the Betrayed Damsel.,” Scottish Chapbooks, accessed April 25, 2019, https://scottishchapbooks.lib.uoguelph.ca/items/show/710.